Most people have bad breath problems at some time or another, and in 9 out of 10 cases the cause originates within the mouth. Bad breath can be a social problem, unpleasant for others and embarrassing for the person who has it. Research shows that it may also indicate gum disease, such as gingivitis or periodontitis. Therefore, a comprehensive oral hygiene regime is very important to keep your breath smelling fresh. 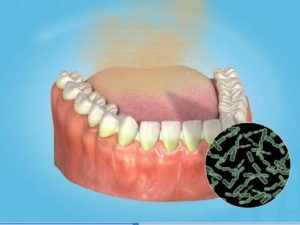 The bacteria on our teeth and gums (plaque) also cause gum disease and tooth decay. 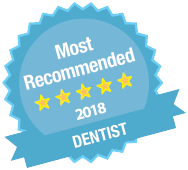 Visiting your dentist regularly will not only help you to achieve fresher breath, but will also allow the dentist to check for and treat gum disease and tooth decay. Lots of small signals can show that you have bad breath. Have you noticed people stepping away when you start to talk? If you think you might have bad breath, there is a simple test that you can do. Simply lick the inside of your unscented wrist and sniff – if the smell is bad, you can be pretty sure that your breath is too. Or, ask a very good friend to be absolutely honest, but do make sure they are a true friend. If you do have bad breath, you will need to start a routine for keeping your mouth clean and fresh. Regular check-ups will allow your dentist to watch out for any areas where plaque is caught between your teeth. Your dentist or hygienist will be able to clean all those areas that are difficult to reach. They will also be able to show you the best way to clean your teeth and gums, and show you any areas you may be missing, including your tongue. One of the early warning signs of gum disease is that you may have bad breath or a bad taste in your mouth. Again, your dentist or hygienist will be able to see and treat the problem during your regular check-ups. The earlier the problems are found, the more effective the treatment will be. dentist who may be able to suggest ways to resolve your bad breath. Brush your teeth and gums twice a day, and don’t forget to cleanse your tongue as well. Use dental floss once a day for cleaning between your teeth. There are other products you can buy to clean between your teeth. These are called ‘interdental cleaners’. as it will scratch the surface and more stains will build up. They will also lose their shine. Hold them over a bowl of water or a towel in case you drop them. Clean them thoroughly with a denture cream, denture cleaning tablet or denture cleaning powder. Use a denture brush kept just for this purpose. Remember to clean the surfaces that fit against your gums and palate. This will make sure your dentures are always fresh and clean, and avoid the plaque build-up on the dentures that may cause bad breath. There are many specialised oral care products available, which come as toothpaste, oral rinse and in a spray. Using these will help you clean your teeth, give you fresher breath and the confidence to keep you smiling all day long. These products are designed to eliminate, not mask, odour-causing compounds. Ask your dentist for details. The specialist products contain a safe, effective, antibacterial formula to fight plaque and, as part of a daily oral hygiene programme, will help keep your mouth healthy, clean and fresh. Mouth Rinses – you have the choice between those containing alchohol, or not, with sweetner or without and flavoured or non flavoured. Most mouth rinses are designed to last up to eight hours. Oral sprays – are convenient for your pocket, handbag, car or whenever you are away from the bathroom and want reassurance of fresh breath. Toothpaste – some do not contain sodium lauryl sulphate (a foaming detergent) and therefore non-foaming. This means your mouth does not fill up with suds, as is the case with most normal toothpastes, and you can continue cleaning your teeth for longer, which is preferred by many dental professionals. 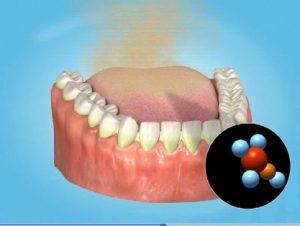 Even in the cleanest mouth, odour-causing molecules known as Volatile Sulphur Compounds (VSC) are constantly being produced by the natural breakdown of bacteria, human cells and food debris. Ordinary toothpastes and mouthwashes only cover up these compounds with a more pleasant smell or flavour. The VSC are still present, causing odour in the mouth. 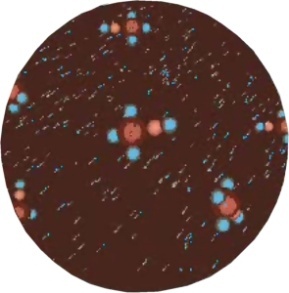 However, the ingredients in the specialist toothpaste, oral rinse and spray actually changes the structure of the VSC molecules, rendering them odourless. With regular use, the specialist oral care range can help assure you of cleaner teeth, a healthier mouth and fresher breath. Bad breath can also be caused by some medical problems. Dry mouth (xerostomia) is a condition that affects the flow of saliva. This causes bacteria to build up in the mouth, leading to bad breath. Dry mouth may be caused by some medicines, salivary gland problems or by continually breathing through the mouth instead of the nose. Also, older people naturally produce less saliva. If you suffer from dry mouth, your dentist may be able to recommend or prescribe an artificial saliva product or suggest other ways of dealing with the problem. Other medical conditions that cause bad breath include infections in the throat, nose or lungs, sinusitis, bronchitis, diabetes or liver or kidney problems. If your dentist finds that your mouth is healthy, you may be referred to your family GP or a specialist to find out the cause of your bad breath. Remember, only 10% of bad breath problems originate from outside the mouth. irritates the gums. People who smoke are more likely to suffer from gum disease and also have a greater risk of developing cancer of the mouth, lung cancer and heart disease. Ask your dentist, pharmacist or practice nurse for help in quitting. If you do stop smoking, but still have bad breath, then you need to see your dentist or GP for advice.